This Grade 2 listed Radnorshire longhouse is on high ground and looks east over the Wye Valley to the Black Mountains. It is a platform house dating from around 1600, and was originally timber-framed and later encased in stone. Remarkably four cruck-trusses survive within it, defining the cross-passage, the single-bayed hall and the inner room. Other interesting features remain: the attractive back outshot contains a 17th century stone staircase which was blocked in the 19th century, and a diamond-set mullioned oak window which would have been unglazed. The lower range contains an early stone bread oven. The original framing and cross sections of the cruck-trusses are illustrated in Houses and History in the Marches of Wales: Radnorshire 1400 – 1800 by Richard Suggett (RCAHMW, 2005). 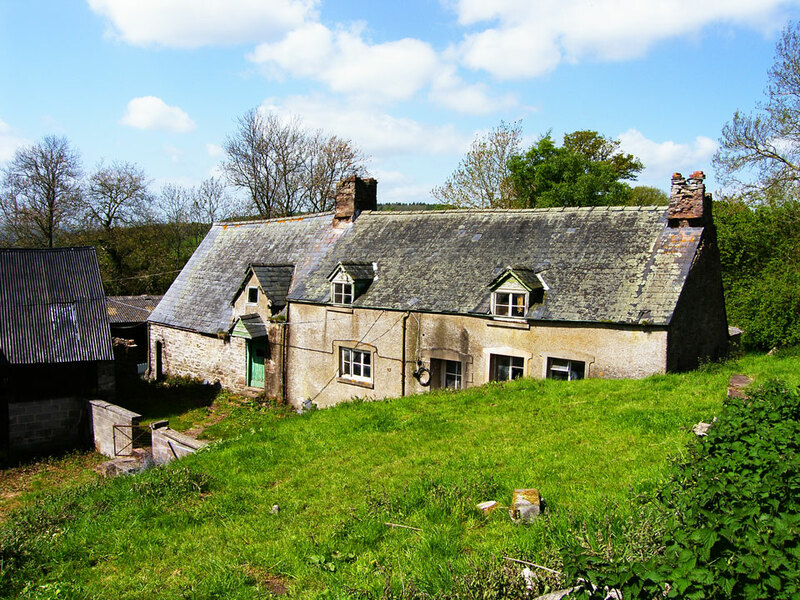 A full scheme of restoration was drawn up and Full Planning Permission and Listed Building Consent have been granted by Powys County Council and CADW, but work has yet to begin on site.